Some great news. 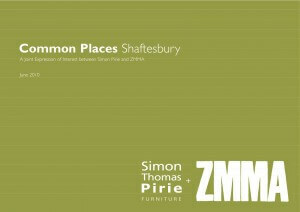 We have won a public art commission, in Shaftesbury! ‘Common Places’ continues work that has been happening in and around Shaftesbury for some time, enhancing the town centre to make it more useable and attractive to residents, visitors, traders and shoppers. Even more exciting it that it’s a joint project bid with a London based architects Zombory-Moldvan Moore (ZMMA).